Every marketer is in constant need of more resources. Between inbound, outbound, and all-around costly marketing techniques, we’re always scraping by to keep pace with the industry. But what if I told you that your office is actually a bottomless resource well? No, I didn’t convince your CFO to magically grant you a limitless budget. I am, however, going to do the next best thing and open your eyes to the amazing resources you already have: EGC is the Key Content Marketing Trend. As marketers, we tend to silo ourselves and struggle to play nice with sales, customer service, or any other departments because we’re so focused on generating interest around the company. We forget that the people who are best-equipped to help us pique audience interest are the ones working with customers day in and day out. By learning how to utilize your employees as resources and showing them the value of contributing, your company can accomplish much more with content marketing. Here are three ways to harness the power of your employees. Interview team members over the phone, then use a transcription service such as Rev to transcribe their answers and load those into your knowledge management template. Send team members a daily question via email, and categorize their answers. Ask the sales team to create a spreadsheet of common customer questions and/or objections, and use those to inspire article topics. Each time someone in the company publishes a piece of content, you should have a built-in distribution channel (a.k.a. your employees) sharing it with their networks. Encourage your employees to share articles through an employee advocacy program, or use software such as Dynamic Signal to make this extremely easy for them. You’ll get your content in front of new eyeballs while helping employees build their professional brands. Hopefully, you have some established experts on your team who carry some credibility in the industry. If so, help them write articles for industry publications that reach your target audience. You can then utilize these articles as top-of-the-funnel content for your marketing campaign by drawing prospects in and encouraging them to learn more about the company in the byline. Make content organization a top priority. Creating a customized editorial calendar will allow you to plan and execute your content strategy more effectively, while staying on top of your publishing schedule. You can also gauge what’s working (and what’s tanking) as you input relevant data and analytics along the way. Establish an internal project management system. Once you start ramping up content production, articles and ideas can easily slip through the cracks. Use software such as Kapost, Basecamp, CoSchedule, or Asana to help keep everything running smoothly. Track the results of your content efforts. Publishing content without any benchmarks for success is simply a waste of time. You need clearly defined metrics so you can easily access and evaluate what’s working and start seeing positive ROI. By using marketing automation software such as HubSpot, your team can evaluate the success of the content and campaigns you’re executing and make revisions as needed. 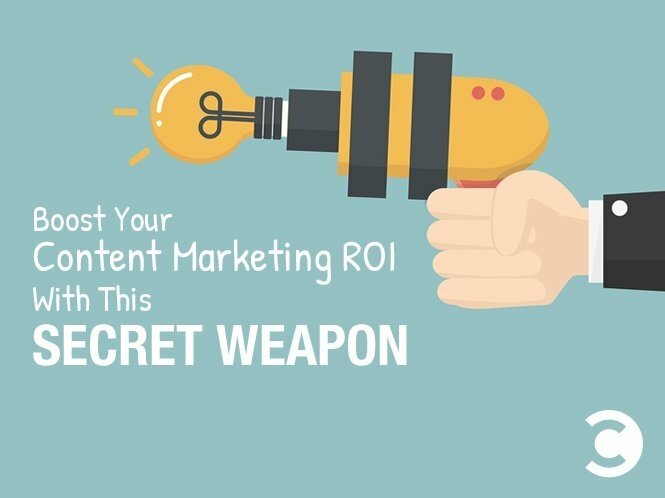 Lastly, don’t forget to share the results of your content marketing efforts with the team. It can be difficult to rally team members behind your efforts and get them to answer questions, share articles, and be involved throughout the content creation process if they don’t understand its goals. Show them how they’re helping you accomplish crucial company objectives, and they’ll be more willing to join in. In the end, you’re driving new sales, creating valuable sales collateral, boosting employee and company reputations, and growing the company, which is all any marketer could hope for.